(7 Customer Reviews) | Write Review 13 issues per year For over 30 years, Family Tree has been helping amateurs and experts trace, research and discover the secrets behind their family history. In every issue, you’ll find practical step-by-step guides and helpful tips for researching your ancestry, with the aim of making the whole experience simple, interesting and fun! 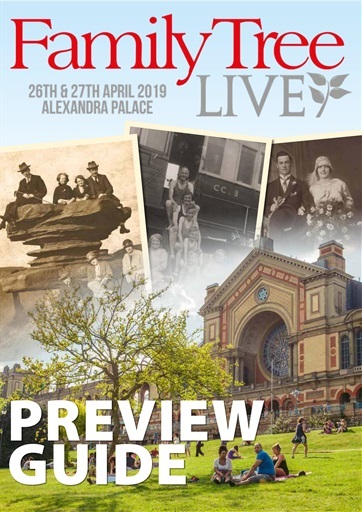 You’ll find all the latest genealogy news and updates, Q&A’s with leading experts from the field, exclusive competitions and giveaways, plus in-depth features on hot topics such as DNA testing, photo dating and archive researching. Giving you everything you need to research your own history, Family Tree has historical features to help put your families history into context, as well as inspiring real-life stories from other readers who have traced their own historic journeys. Whether you’re just starting out on your journey or you’re a seasoned genealogist, why not get a helping hand from the UK’s leading authority in family history? Looking for Family Tree in print? Unfortunately pocketmags.com does not sell print copies of Family Tree, but all is not lost. Our partner at magazine.co.uk sells print subscriptions at the best prices online. Find out all you need to know about our super exciting event! 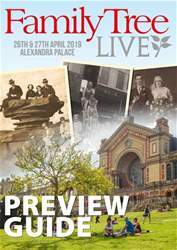 Family Tree Live will be held at Alexandra Palace on the 26th & 27th April 2019, and filled with chances to learn, and have fun. 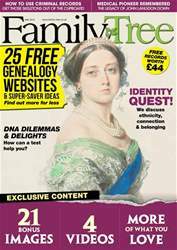 You'll receive 13 issues during a 1 year Family Tree magazine subscription. I started getting Family Tree mag after my previous magazine went out of production. Now, I'm glad it did - Family Tree has excellent articles and the very useful Family Tree Academy feature. I wish I had looked at this magazine earlier - I find it suits my needs and interests perfectly. Great genealogy Mag - I enjoy these articles and getting new research ideas. Love this magazine, definitely the best of the geneaology magazines, with so much to read and friendly advice. 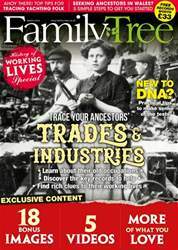 Love having my favourite family history mag on my phone! I really enjoy these articles and always get great new research ideas. 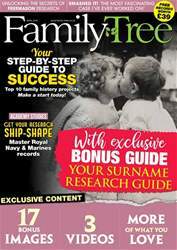 You'll receive 13 issues during a 1 year Family Tree magazine print subscription.